Kilian Kerner was born 1979 and raised in Cologne. From 2000 to 2003 he studied drama in Cologne and Berlin, before founding his own label KILIAN KERNER in 2004. The successful designer is now working on his successive 18th collection. Kilian Kerner finds the inspiration for his collections in emotions. His designs are created by and communicated through feelings. His designs have stories to tell and they epitomize the emotional worlds corresponding to the central theme of each collection. In summer 2008, Kilian Kerner presented his first show at Mercedes-Benz Fashion Week Berlin. 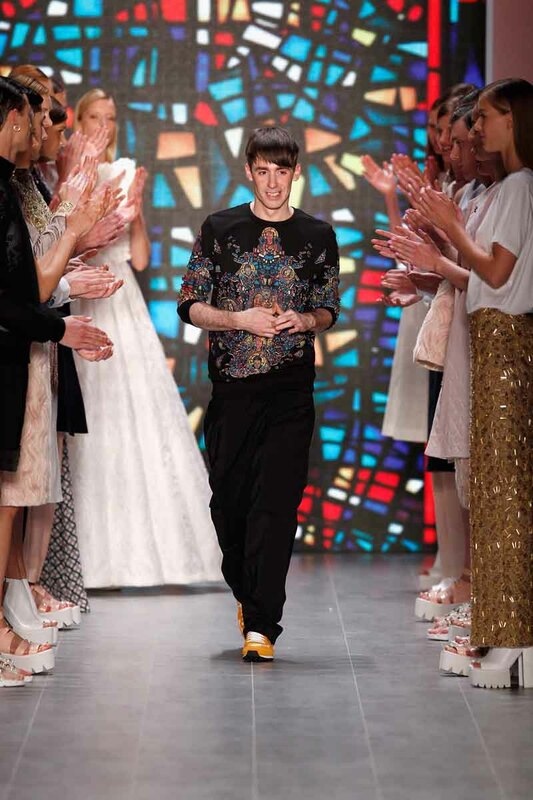 In January 2013 he celebrated his first major anniversary marking his 10th consecutive appearance at Mercedes-Benz Fashion Week Berlin. His label is now a landmark in the German fashion scene and, without its presence, Berlin Fashion Week would be simply unimaginable. His “fashion and music” concept underpins every show. Singer Ben Ivory, the Tunes of Dawn band, and Danish singer and songwriter Mads Langer have already produced special tracks fitting the themes of the collections. For his Fall/Winter 2014/15 collection, Kilian Kerner performed the project with the band RAKEDE, who accompanied the show with its cool and original hip hop beats. The growing success of past seasons has given Kilian Kerner the opportunity to gradually build and extend his label. The premium line KILIAN KERNER and the second line Kilian Kerner Senses are now retailed in 14 countries, in leading stores such as Apropos in Cologne and Hamburg, the concept store Lieblings in Fuld, in three shops of the men outfitter WORMLAND as well as the concept store in Berlin. Kilian Kerner’s breath-taking Red Carpet creations are just one of the reasons that have won him so many celebrity fans and dedicated followers including actresses Karoline Herfurth, Anna Maria Mühe, Alina Levshin and Veronica Ferres as well as young talent Jella Haase, models Eva Padberg and Karolína Kurková, as well as singer Tim Bendzko and Max Prosa. Marco De Vincenzo Fall 2014: Kinetic geometries, Optical effects, Refractions of light.